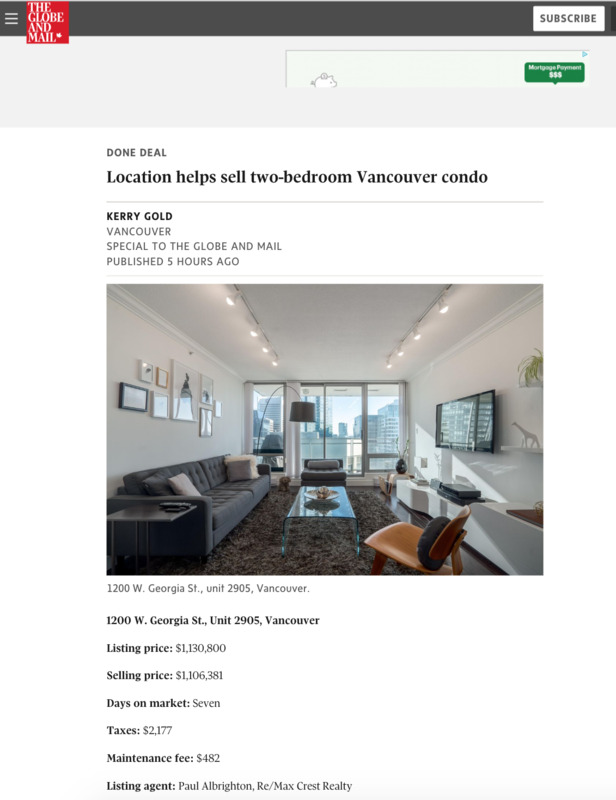 Quoted From the article; "The agent’s take: “The Residences on Georgia has become very popular and prices have increased above average in the area, as Alberni Street and the surrounding streets are home to some of the most exclusive and expensive buildings in Vancouver, such as the Shangri-La and Trump Tower,” Mr. Albrighton said. 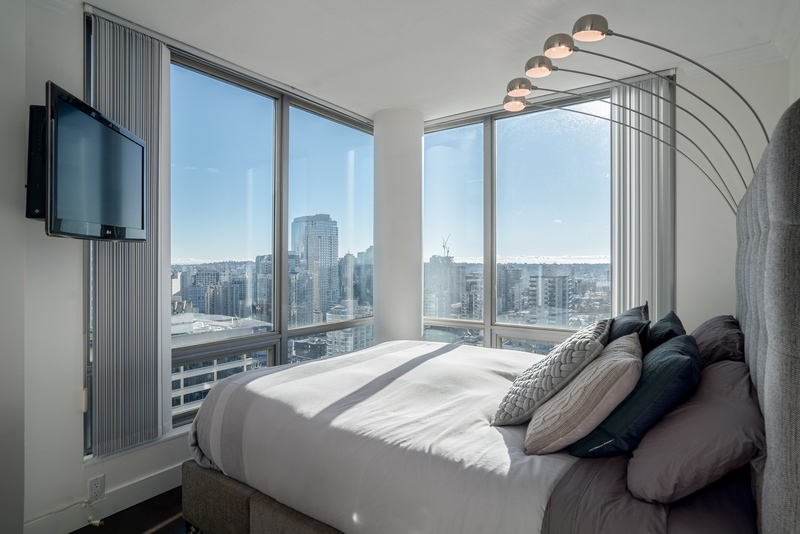 He also cited upcoming luxury projects with record-setting prices, such as 1550 Alberni by Westbank and Landmark on Robson, by Asia Standard International Group." read the full story. Downtown’s most sought after location, Alberni Street - the “5th Avenue” of Vancouver. 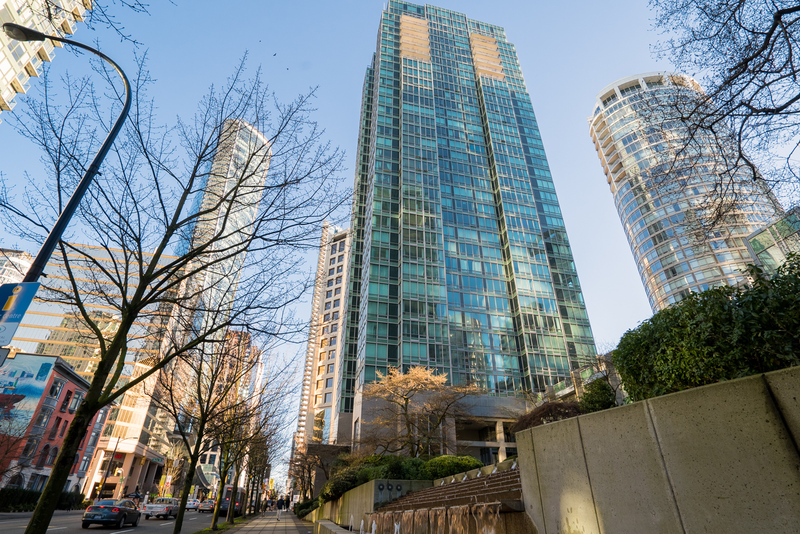 Home to the finest luxury retailers, restaurants, shopping, cafe’s, and steps from Robson Street. 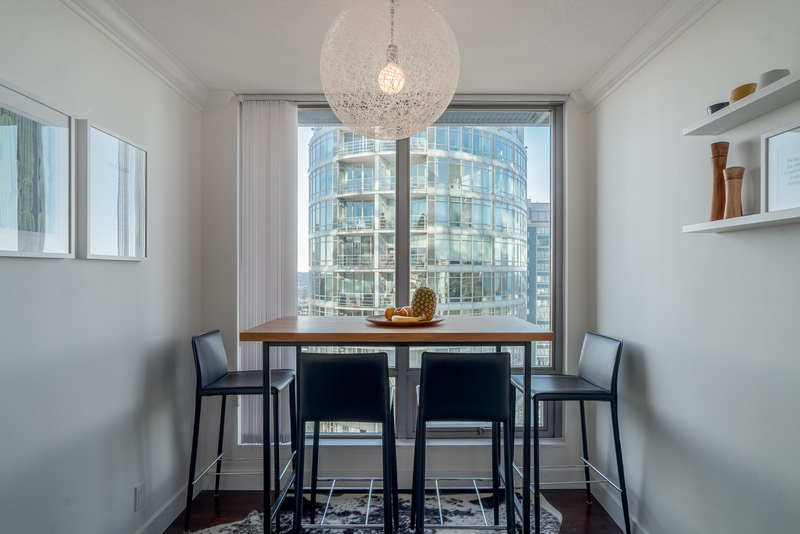 This high floor suite at “The Residences on Georgia” offers beautiful views over Downtown with partial water views towards English Bay & Coal Harbour. A tastefully modernized 890 sq.ft. condo that offers 2 bedrooms, 2 bathrooms, den, and dining area. 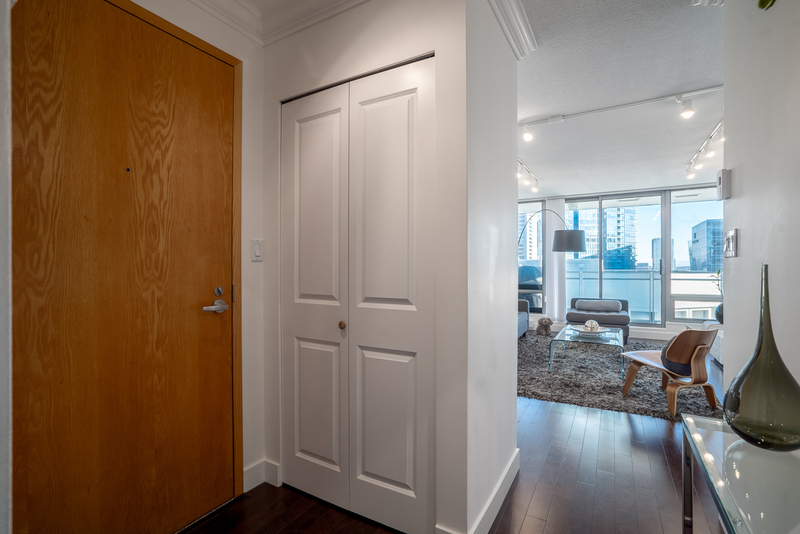 Fully updated interior with walnut wood flooring, new baseboard/crown mouldings, custom lighting, fully equipped with California closets throughout. The walk-through kitchen has been upgraded with stainless steel appliances, newer cabinetry and stone surfaces. Bathrooms are updated with replaced tiling, cabinetry, quartz counters and fixtures. This unique unit has a large 96 sq.ft. balcony off the living area with ample room for patio furniture, a BBQ and enjoying beautiful panoramic city and water views. Pets & Rentals permitted. Building amenities include 24-7 concierge service, gym, and meeting rooms. Suite has secured underground parking and a storage locker. More info, photos and plans.